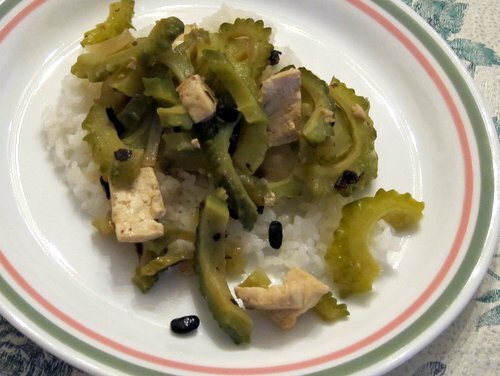 I got the recommendation for pinakbet or pakbet from a Sri Lankan colleague who has a fondness for Filipino cuisine. It’s good she’s around or I would have been at a loss for what to do with this ridiculous looking veggie. For pakbet I took some crucial advice from Melissa and my colleague on the preparation. 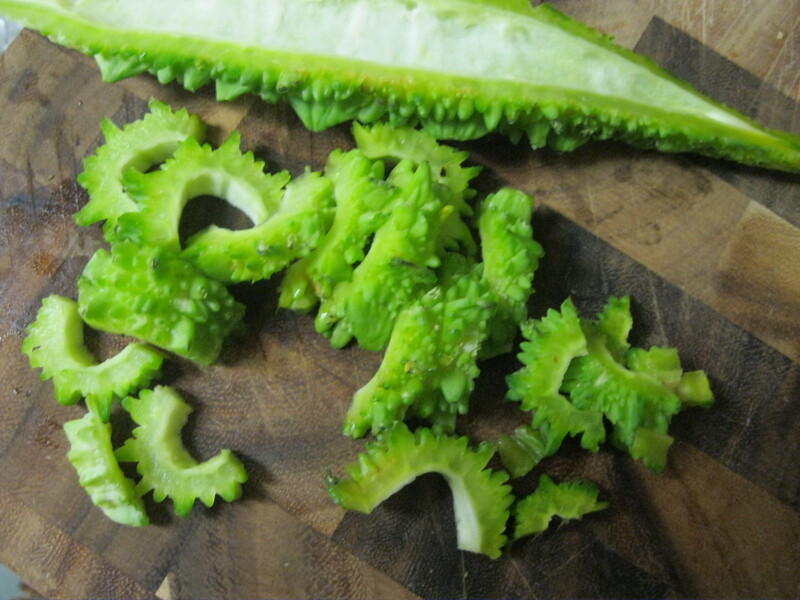 I sliced up the melon, discarded the seeds and salted it and waited for about 20 minutes. There was a lot of liquid that came out of the flesh so I figure it worked… right? I browned the garlic and onion in olive oil. 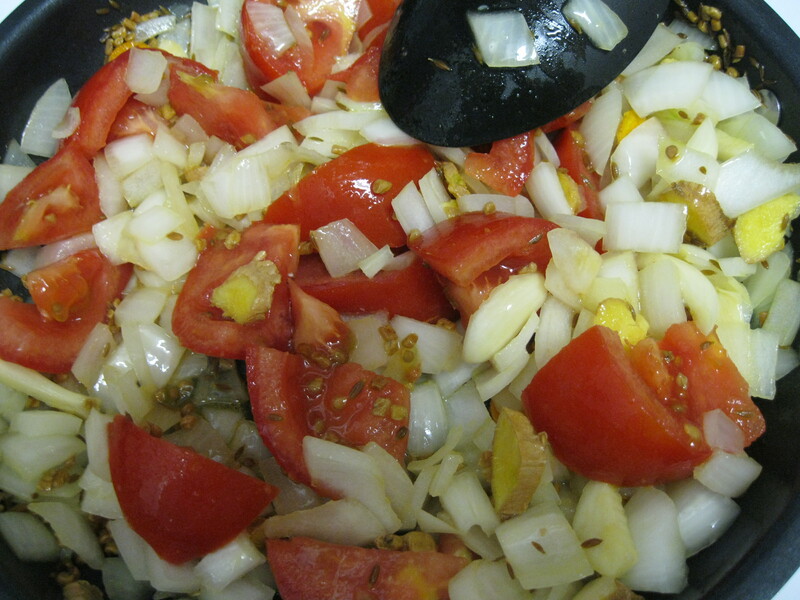 Then I added the tomatoes and cook until soft and then the remaining ingredients. 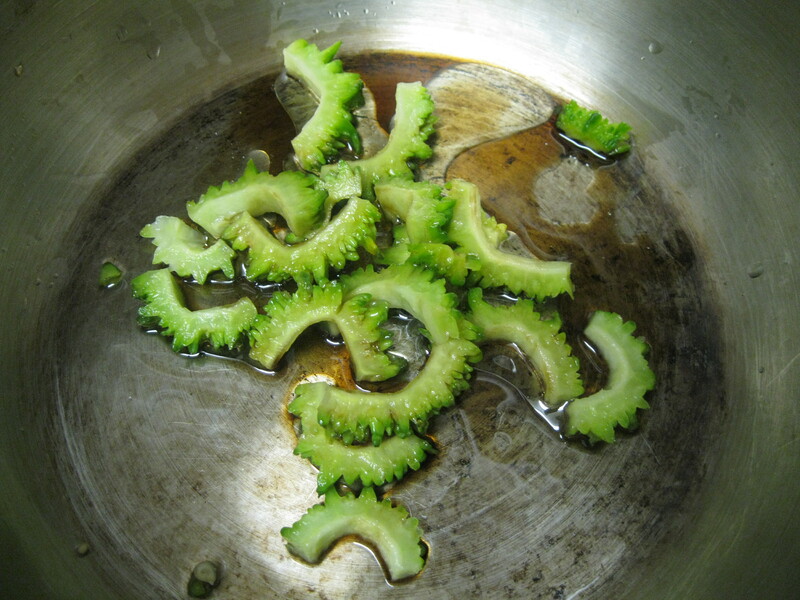 I cooked the bitter melon separately, sauteing lightly in olive oil with tamari because Brent is allergic to quinine and I don’t want to kill him even though the literature regarding the quinine content of bitter melon is sketchy. 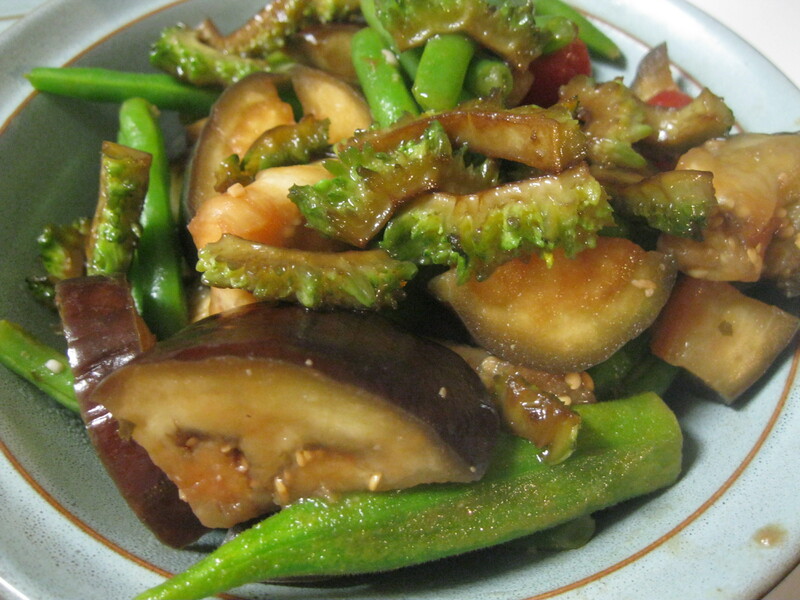 I didn’t cook it long after adding the rest of the ingredients just because I like my veggies crisp and green. I’m weird like that. 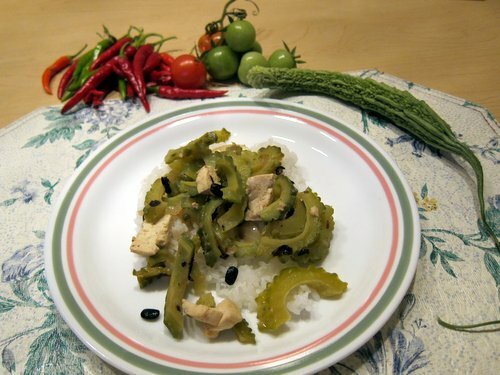 I added it to mine and found that the sweetness of the beans and onion along with the mellowing tomato and eggplant really complemented the bitterness of the bitter melon. Next time I’ll use white miso paste instead of red and omit the ginger, but otherwise Brent seemed happy with the bitter melon-less version and I’ll be doing this again… just don’t tell Brent. This is Christie, singing off!